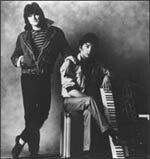 Naked Eyes was an Eighties synthpop duo, best known for their first single, a cover of the Burt Bacharach / Hal David standard "(There's) Always Something There To Remind Me." The song reached number one in the UK in 1964 for Sandie Shaw. Some versions of this song (including that of Naked Eyes) has the word "(There's)" dropped from the title. The group consisted of childhood friends from Bath, England, Pete Byrne on vocals and Rob Fisher on keyboards. The two had formerly played in a band called Neon with future members of Tears for Fears and stayed together as a duo after the group broke up. 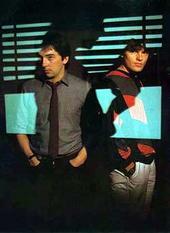 Their second and third singles, "Promises, Promises" and "When the Lights Go Out", were also hit singles. However, their second album, Fuel for the Fire and the single "(What) In the Name of Love", were not as well-received and the group broke up soon after its release. Byrne ended up doing session work (he is heard on Stevie Wonder's "Part-Time Lover" and wrote and produced "I Am the Cute One" for Mary Kate and Ashley Olsen in 1992) while Fisher joined the group Climie Fisher. Fisher died August 25, 1999 from complications following stomach surgery. Byrne recently revived the group name and released the solo album 'Fumbling With The Covers,' which consisted of covers of Bob Dylan, The Beatles, Elvis Costello, along with the Naked Eyes hits; all of them acoustic. It was released on the Oglio label. 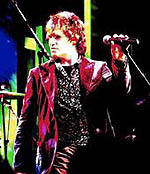 Byrne released another solo album, 'The Real Illusion' in 2001, which featured some of the last tracks he wrote with Fisher for a proposed third Naked Eyes album. So, what happened to that line-up? "Well, Neil always had this other little power trio band - which wasn’t as successful as we were – so he decided to go off and do that. So, I asked Roland – who was Neil’s friend – if he wanted to come and play guitar with us. Roland had already been working on his Tears For Fears idea and Rob was really starting to get into all the technology and becoming a live band. So, it was just one of those things really – and we weren’t being paid for what we were doing." So Neon broke up soon thereafter? "Yeah, Rob and I had to then carry on as normal. We were a songwriting team so when Neon broke up I convinced a friend of mine that he would make a brilliant Manager. After agreeing with me then plonked down enough money for us to go into the studio and record. So that then was basically the genesis of Naked Eyes because while we were recording those songs we decided to do a cover of ‘Always There To Remind Me'." In hindsight, was it risky for a new band to be known first for their version of a cover song? ”That was much later. Basically the idea of recording that song whilst doing a demo session was really just to get us away from our own stuff so that we had something fun to do. We were in the studio every day and this was new to us. I mean, prior to that Rob and I were just in his living room with a couple of keyboards and an old two-track machine. So, to be let loose in a studio was great – and we had this record recorded in two weeks. We were recording two songs a day and really working hard – in between games of PacMan,” he laughs. 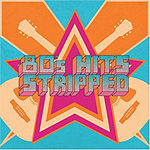 For the new ‘80s Stripped CD, when was your version of “Promises Promises” recorded? ”Ahh, well this is a relatively new thing. You know that Rob Fisher died in 1999 and we had always been friends throughout the whole thing and just decided to go in different directions. So, we stayed in contact and then at some point the Climie Fisher band wasn’t going anywhere and I’d been doing session work. So, we got back together again to work on a new album, but then Rob passed away. So, I was now thinking about what to do with the music, as we’d always agreed not to use the name Naked Eyes without each other. So, I didn’t and I released a solo album and I guess about three years ago I decided to go back to the days before Neon – when we used to play with just a guitar in the pubs and bars – and so I just starting doing that with my guitar. The original idea was to just do covers." Is it also true that on your 2001 solo album "The Real Illusion" that there can be heard some of the last ever worked on Naked Eyes tracks between yourself and Rob? ”Yeah, and in retrospect that also should have been called Naked Eyes as there were new tracks on there that I had done with Rob. It would have been a better way of marketing it as it is a Naked Eyes album. So, now I’ve come to the point where I’m just gonna call everything I do Naked Eyes,” he laughs.